If you’re taking your ‘02 Honda Civic to pick up Dr. Agnes Oban from the airport, you might be starting off on the wrong foot. Instead, rent a classy vehicle to pick up your VIP in style. Yes, this is a shameless plug for our luxury car rental service, but it’s no less true. Ride up in our Porsche 911 rental, or if she’s bringing a couple of associates, opt for the Audi A4. If you’re towing Dr. Agnes, her associates, and luggage for four nights, then you can go with our GMC Yukon. While you might not place much thought in transporting your guest, you should. If you’re meeting your guest for the first time as you pick them up, then the car ride will be their first impression. You can elicit either a meager “Huh” or a delightful “Ooh!” right off the bat. You can show up to your meeting with Miki Yoshida from the Japan branch wearing rags, or you can represent your company with a clean suit, a fresh haircut, and a smile. Confidence goes a long way too — keep that pack straight, be welcoming, friendly, and personal yet professional. Your energy will work wonders to “woo” the guest at hand. As a representative of your company, you are doing just that: representing. Embody the image that your business projects. If you operate the Historical Society of Denver, you can sport a tweed jacket. If you operate a modern architecture firm, wear modern. Aleah Jefferson loves golf, iced lattes, and watching mixed martial arts. So, when she arrives next Tuesday, you’ll take her to the links to discuss MMA and the Henderson project — after having brought her a latte for your introduction, of course. Impress your guests with a bit of research into their hobbies, likes, and dislikes. Madeline McIninch will be in your office from 8 AM until 5 PM discussing the contract that you’ve built over the last four months. Today, she decides whether or not those four months were worth it. You’re smart, and you’ve thought ahead. The fridge is stocked with bottled waters and Cokes. The espresso machine is warmed and ready for Americanos. You’re having Thai catered at the office at one. Mrs. McIninch won’t have to lift a finger while your contract is under scrutiny. 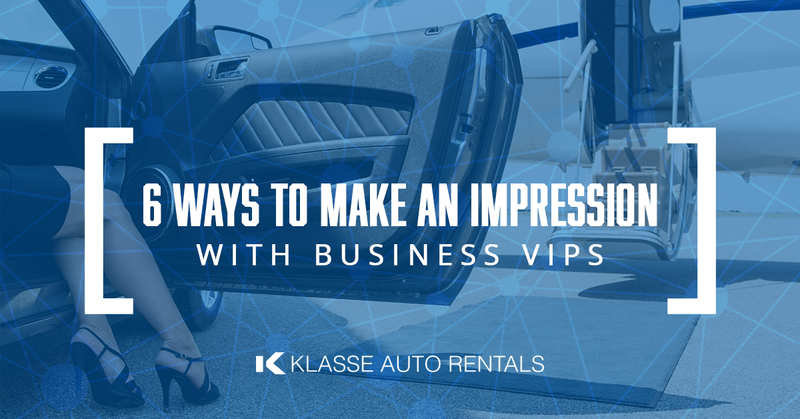 Having all of your VIP’s demands on hand won’t just make a meeting go smoother, it could impress them and sway them to help you in your pursuits. Gary, the representative from Forbes, is heading to your office for the first time. What’s the first thing that he’ll see? If it’s outdated copies of Sports Illustrated, your first impression can be less than illustrious. Wouldn’t it be more impressive if you had today’s copy of the Wall Street Journal? Make sure that your office is modern. Take efforts to replace old, mismatched furniture. Consider swapping out those sun-bleached blinds too. Is the ficus in the corner of the lobby healthy? Every detail can count when it comes time to impress your next business guest. It’s not Diane’s fault that she doesn’t know Edgar. You should have told your cohorts that Mr. Edgar Summers is visiting today — after all, he operates one of your biggest accounts. It only takes a second to relay that you’ll have a VIP in the doors at some point throughout the day. Tell your colleagues that you’ll be bringing an important client into the office, so that they’re wary of their own interactions with your guest. Prep your colleagues so that they’re ready to welcome your guest. Even a quick email noting that “Mr. Edgar Summers will be stopping into the office around 2 PM tomorrow” can go a long way. Get all of your colleagues on the same page, and prepare your coworkers for the big meeting. You’ll make each greeting more pleasant and professional, and less unnerving. You can always count on Klasse to help you make a great first impression. The next time you have an important business guest coming to your steps, we’re here to provide you with the perfect vehicle for the pick-up. Don’t believe us? Take a look at our current selection of luxury vehicles for rent. We proudly provide luxury vehicle rentals here in Denver. Get in touch with us if you have any questions about our vehicles, or check rental availability right here online.